How do you meditate? Some people close their eyes and picture their favorite location. Some visualize the various outcomes of a situation they are feeling stressed about. Others pray, listen to music, write in a journal or some combination of all these various techniques and more. Meditation has been around for centuries, and the reason it is probably still so effective is that no one person’s methodology for achieving a lasting inner calm is exactly the same as someone else’s. Regardless of your preferred techniques, you do want to be comfortable while you meditate. Why not choose a set of cushions or pillows designed specifically for meditation and relaxation? Meditation cushions can offer you optimal comfort for various vulnerable parts of your body so that you can focus entirely on mental as well as physical relaxation. Here are five of the best meditation cushion sets you can buy to make your home meditation experience the best it can possibly be for years to come. This is a deluxe model two piece meditation cushion set that comes with one larger cotton zabuton meditation cushion and one smaller zafu cushion, with your choice of kapok filling (a cotton like material) or buckwheat hull (an adjustable grain like filling). You can choose either or depending on comfort level and what you prefer to have supporting you as you sit. Another advantage of this set is that you will typically spend less on purchasing both cushions together than you would buying them separately. The combination of the two cushions together ensures that you will be able to meditate in the most comfortable sitting position possible for optimal meditation benefit. When investing in a two piece set, you want to purchase something durable that will last you through many hours of quiet, comfortable meditation. The Cosmic Crescent Cushion sets are comfortable meditation cushions made from soft, organic materials like buckwheat and cotton. They blend in with the rest of your home décor, available in more neutral colors like white or light grey and several different fabrics of your choice. They belong almost anywhere in your home. Some people would love to meditate more often, but find that sitting on the ground in the same position even for 10 or 15 minutes leaves their backs aching for hours if not days afterward. That is why meditation cushion sets like these are so important and beneficial. With two cushions, you typically have one for sitting on directly and one to support your back as you do so. No more worrying about how much pain you are going to be in later. For the environmentally conscious, this meditation cushion set is made from completely environmentally friendly, organic materials and comes straight out of Massachusetts, United States. You can sit down to meditate in the early morning or late afternoon knowing you are using the most organic meditation equipment possible. This deluxe product is crafted and built to last you a very long time, so when you invest in this set, you know you are making a worthwhile choice for not just your mental and physical health, but your financial health as well. You can remove the covers of each of the two cushions to make for easy washing and replacing as often as you feel you need to, in order to keep your meditation space looking and feeling fresh. Choose from a variety of cushion cover colors – nearly a dozen options for a customizable home meditation experience. This is probably one of the most basic meditation cushion sets you will find, but for many, simplicity, even in meditation equipment, is the whole idea behind the practice in the first place. It comes in several different colors and includes a handle so that you cn easily transport it from place to place. Why are so many meditation cushions filled with buckwheat, including one of the two cushions that are part of this set? Buckwheat is a grain like substance used to fill the cushion. Unlike cotton or any other kind of filling material, buckwheat acts like sand inside the cushion, except much softer. When you lean on it, it will mold to your shape so that you do not have to constantly adjust yourself as you are trying ro think, focus and/or relax. The final meditation cushion set on our list is a three piece ensemble that includes two zabuton (smaller) cushions as well as a gomden meditation cushion to use as your base for sitting while meditating. This product is more on the expensive side compared to the others, but you may find that the extra comfort and support it offers is exactly what you need to have the best daily meditation sessions without any disruptions or distractions. Made with excellent, durable materials you can count on lasting a long time. Meditation means something a little bit different for everyone. How you use your meditation time depends entirely on what you want to get out of the experience. Do you want to be more calm, relieve yourself of the day’s stressors and mentally prepare yourself for the days to come? Is meditation of a physical benefit for you, helping you to relieve tension in your neck, back and shoulders so you can focus and relieve pain? Or are you trying to improve a soft skill such as better concentration? 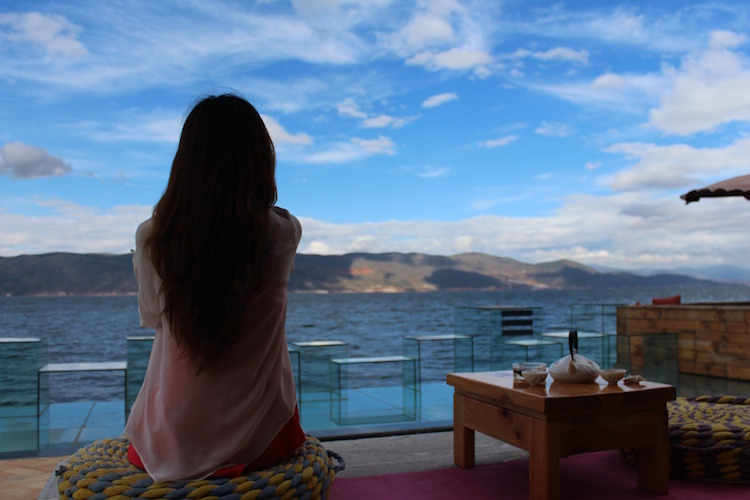 However you use meditation – and there are plenty more ways you can do so – always be sure to do what you can to construct the most tranquil, simple yet comfortable environment for your meditation as you can. Include a meditation cushion set or two in your designated meditation space so that you can begin each session knowing that, if nothing else, at least you can sit back and relax for a few minutes of your day.